Today we were very excited – and just as well because we’d been promised a wake up call at 6am which can mean only one thing; David was awake before 5:30. I have to admit, so was I, so we got showered and dressed and had a cuppa (tea for me with horrid powdered creamer – I shudder at the thought of it even now). David has black coffee so it didn’t bother him in the least. When the phone rang at 6 David greeted it with a bright and cheery “Good Morning, we’re already awake!” but the automated voice wasn’t enthused ROFL I think he was a little disappointed not to be able to brag, but such is life. We went up to breakfast and the doors were just barely creaking open – early to allow for those of us going on The Excursion and we had a hasty and light breakfast and I took some travel sickness tablets. We then we assembled at reception for 7:15 with other bleary-eyed folk who were coming along as well. Today was the cruise on the ‘traditional junk’ up the far north east of the island – we were almost at the south west tip. 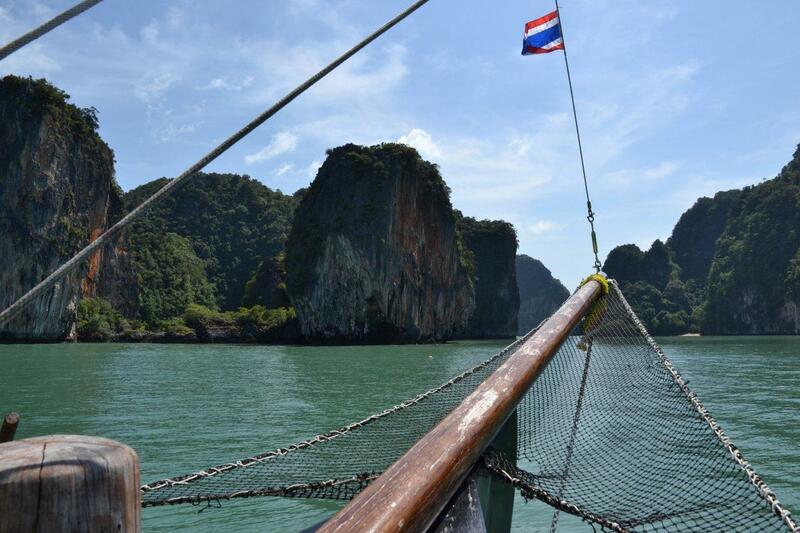 But Phuket is 50 kms tall by 20 kms wide so it could not be further than 70 kms away – though the road to the Big Buddha had sure been circuitous! They loaded up 2 mini buses and there were 14 adults and 1 dear little young girl of about 6 who was incredibly well behaved the whole day. The journey passed quickly enough and it was always interesting looking at the multiple power lines and other scenery out of the window. The most memorable sight was a medium-sized truck piled high with very large gold ‘rolls’, as large as carpet roll size, and perched precariously on the top of the peak were 3 workers. My goodness it looked dangerous! But we were fast becoming accustomed to the small utes with workers crammed in the back so I guess these guys were in paradise with room to move. As long as the truck didn’t brake because those rolls were plastic-covered and *very* slippery looking! We travelled along the main road for quite some time, passing the airport that we’d arrived at just 3 days before and eventually chucked a Uey around a gap in the central railing on the highway and then took a very small side street to the left. We slowed, went over a speed bump, increased speed a little and then slowed… repeating the whole process over and over. I counted the speed bumps on the way home and there were 13 of them; we have no clue why they were there! And then the mini bus turned sharply right into such a tight turn that we were almost going back on ourselves and, having driven a mini bus exactly like this every day for 7 years myself, I was shocked that the driver had managed to put it into this little road in one go. Then we went steeply down a narrow driveway, as we saw the water through some trees and the next thing we were standing on the harbour having little stickers put on our chests. David and I asked where the loo was but before we could take 2 steps towards it the others were off in the opposite direction so we hurriedly fell into line. 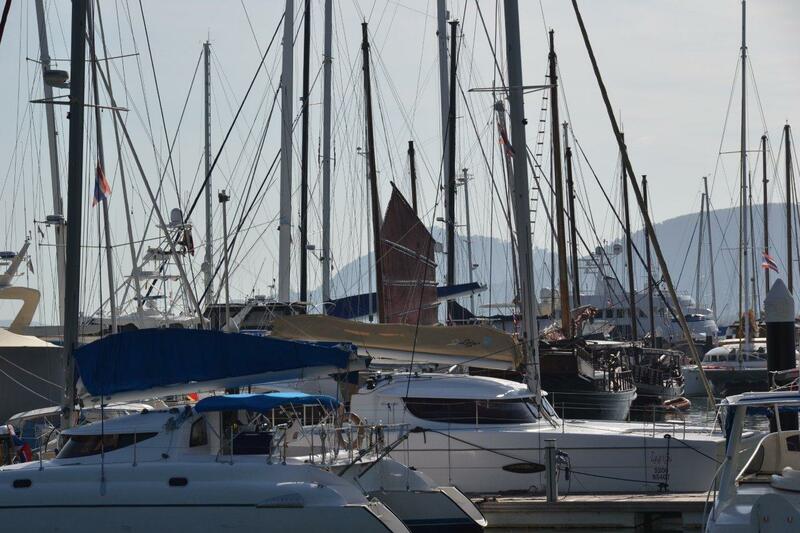 Amongst all the usual yacht masts we could see an orange sail that very obviously belonged to the junk whence we were bound. It looked so cute there, and so out of place! In no time at all we were off. 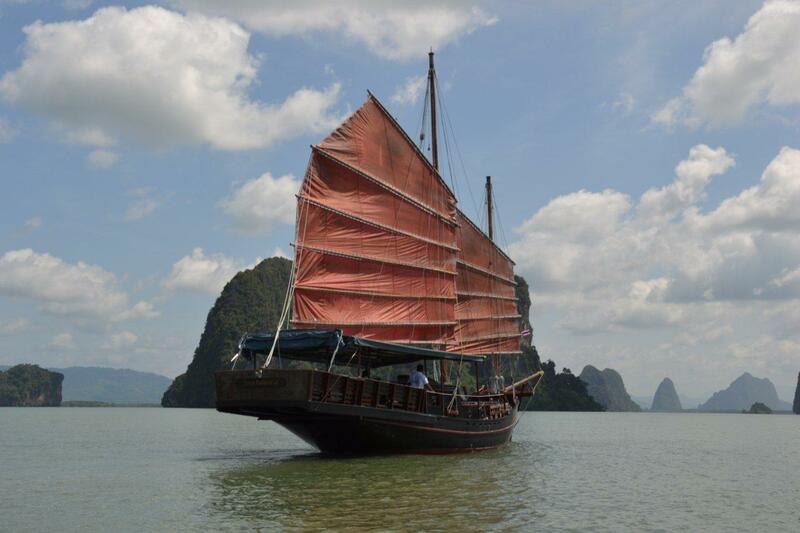 I’m a little disappointed to report that we were travelling by motor and not by sail. That’s the second time we’ve booked a cruise expecting it to be under sail but to have it be motorised – the other was the Cairns trip to the Great Barrier Reef for my 50th birthday treat http://mayl.id.au/?page_id=51 However, they did leave the one sail up so at least we looked exotic. 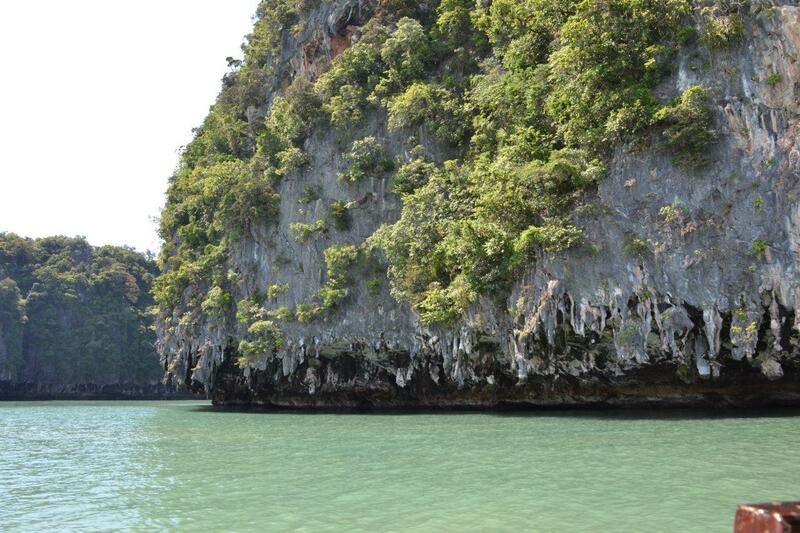 We spent the whole day in what is called Phang-nga Bay and you can see how calm and still it was at this stage. Although it did get a little rougher further out, and later in the day, it really was perfect. But I’m still grateful for travel sickness tablets, I’d never have done it otherwise! We were no sooner on board than we were offered a bottle of water to drink and then very quickly a cup of tea or coffee with some little biscuits as well. The staff took excellent care of us all and the one lad, Tom, that I will call our cruise director spoke excellent English as well as some Chinese that I heard, and upon enquiry he told me he spoke ‘just enough’ of several European languages as well. 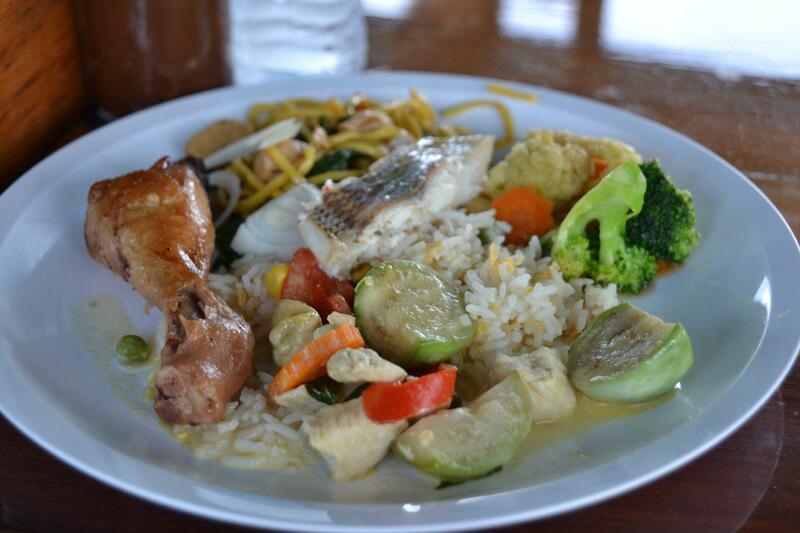 And Thai of course! 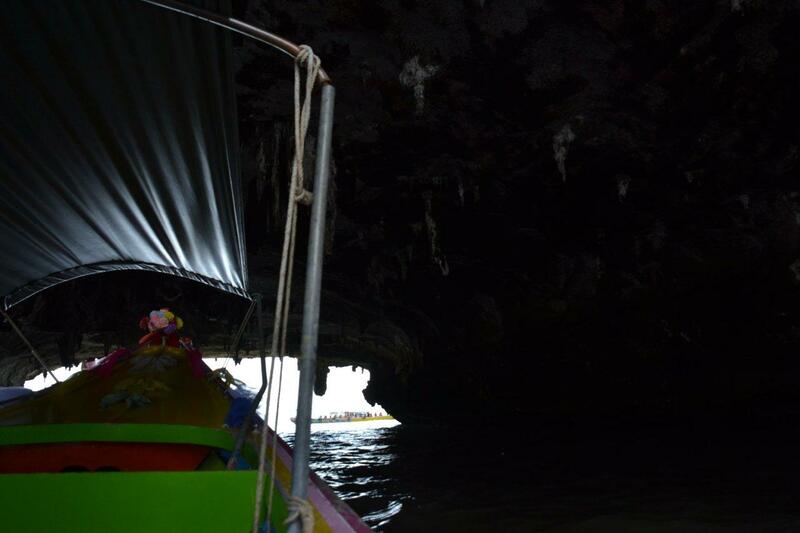 We wandered to the front of the boat to take some photos and then back to our seat under the roof. It was quite a warm day and I rigged up my sarong the hang from my hat so that it covered my neck and arms which were exposed to the sun at our backs. 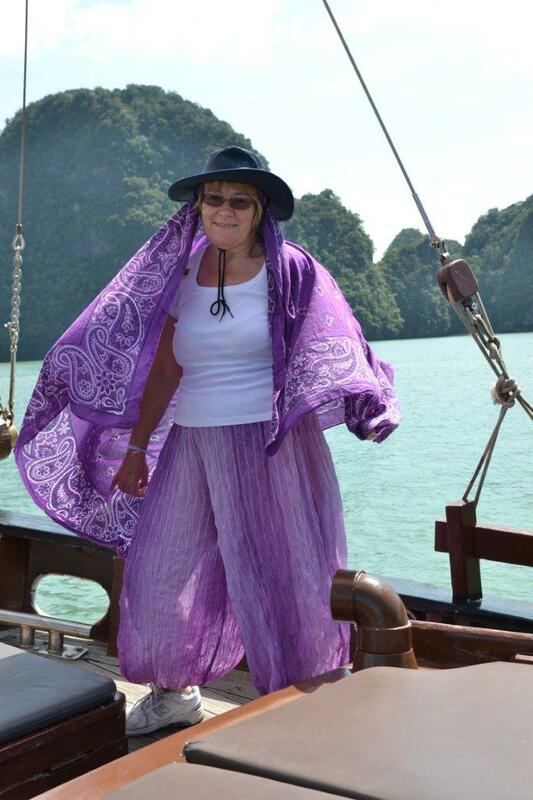 So I looked like a whacky pirate, what the heck 😉 I was cool with the air blowing beneath the sarong and not burned – it’s all good. The bay was heaven on earth and there were always masses of islands in view, with their colours ranging from sharp greens in the foreground through differing shades of mistiness the further away they were. Then a platter of fruit was handed around – whole bananas still with their skin on or sliced pineapple and David and I both chose the pineapple. Well, I would happily still be there next to that plate today given a choice; it was the sweetest, most juicy pineapple I’ve ever had in my life!!! While I’m on the subject I may as well say that we had more later in the afternoon and it was just as beautiful and David and I both wondered where on earth they were buying it compared to the juiceless, sugarless pieces we were getting at Club Med, both in the restaurant and the bar on the side of my pina coladas. Anyway, back to cruising… Suddenly one of the crew started to throw something over the edge of the boat and the next thing we knew there were about a dozen sea eagles swooping to get the treasures. 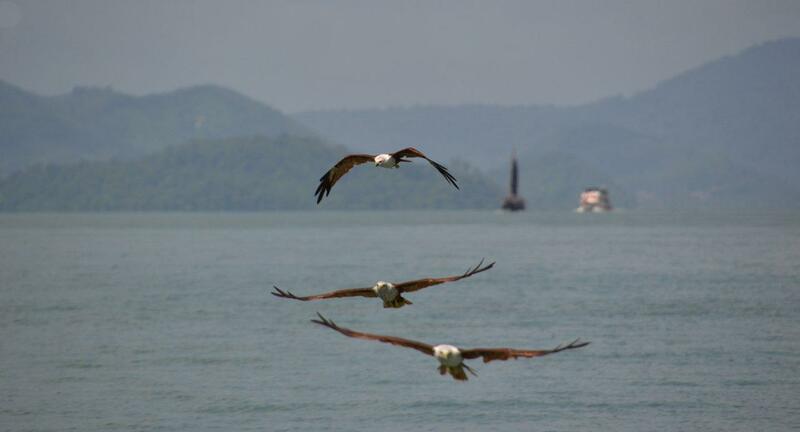 I was at the front and side of the boat and the eagles were behind – aaarrggghhhhhh!!!! My camera never left my side during the cruise and I took 250 photos through the day but this time I was definitely in the wrong spot. If only they’d announced what they were doing and said it was best at the back of the boat! But that’s just one of those things and certainly didn’t spoil the day, I just had to be a better photographer and try to capture them from where I stood. Obviously they were swooping and climbing and I soon realised that automatic focus wasn’t up to the job so I had to switch quickly to manual and do my best. This is my favourite of the shots anyway. I won’t be entering it for any contests I’m afraid but am happy enough with it. Look at this for a beautiful and non-everyday view! And the beauty just kept coming. 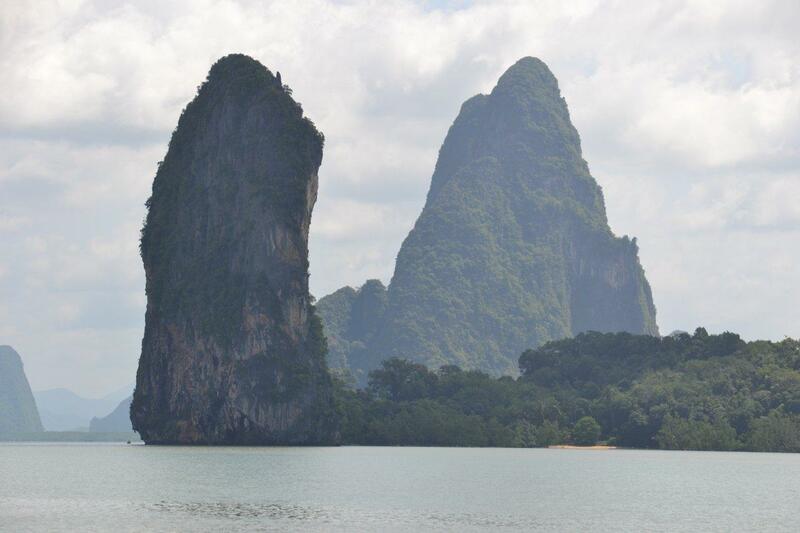 We saw ‘James Bond Island’ (below) – the one used in ‘The Man With The Golden Gun’. Its real name is Ko Tapu, but of course popular vote has pretty much changed all that. And more, incredibly tall islands. 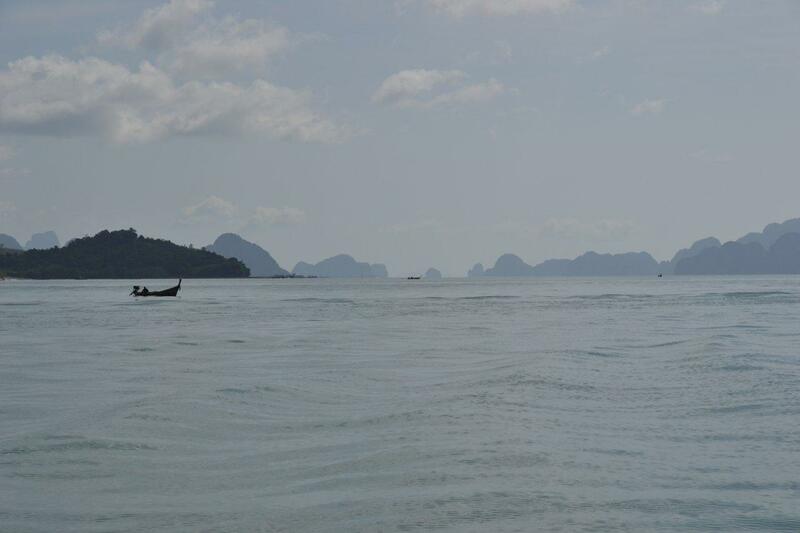 Can you spot the tiny, tiny dot that is a boat on the left of the tall island at the front? That will help you appreciate the size of these. We also saw the beach where the film named ‘The Beach’ with Leonardo Di Caprio was filmed. I guess I’ll watch that one day. Maybe. The life jackets were just the right height to sit on the top of your lap and then end, unbending, right under my chin so that it bumped my jaw every time I tried to speak. You may laugh!!! Anyway, as we left the junk in the small boat we were able to photograph the junk nicely and they’d raised the second sail, presumably for just this purpose. It sure was a lovely sight. And we got closer and closer and then turned nose in towards the gap. I would never have believed it but we went into the ‘hong’ (as the Thai people call them) and through to the other side. 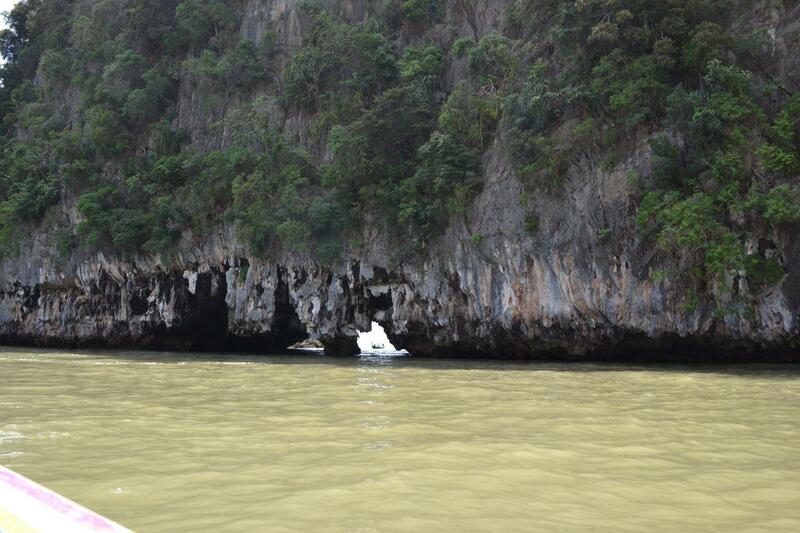 It was totally unbelievable that we could fit under there and I bet they had to time the tides right to do it! Note the green umbrella through the gap on the left-hand side. 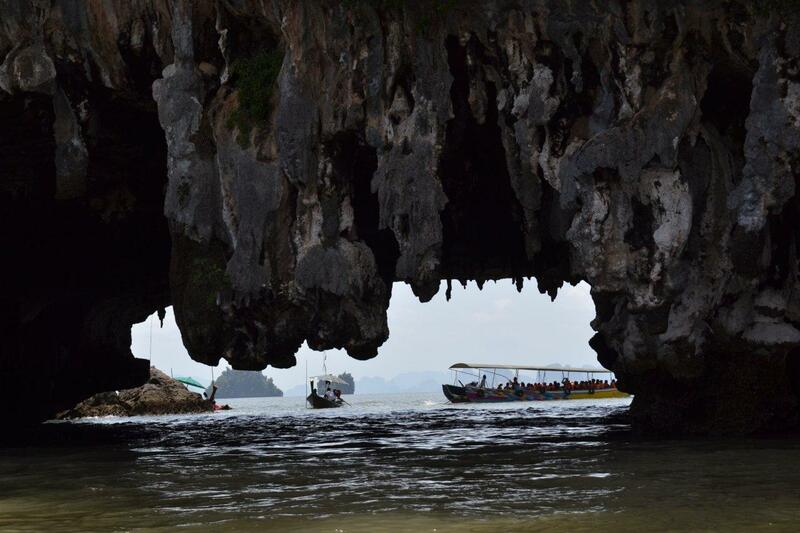 In the hong (below), with all of us passengers ducking instinctively – particularly as we passed by some of the rock stalactites! Once out the other side this most amazing sight greeted us. 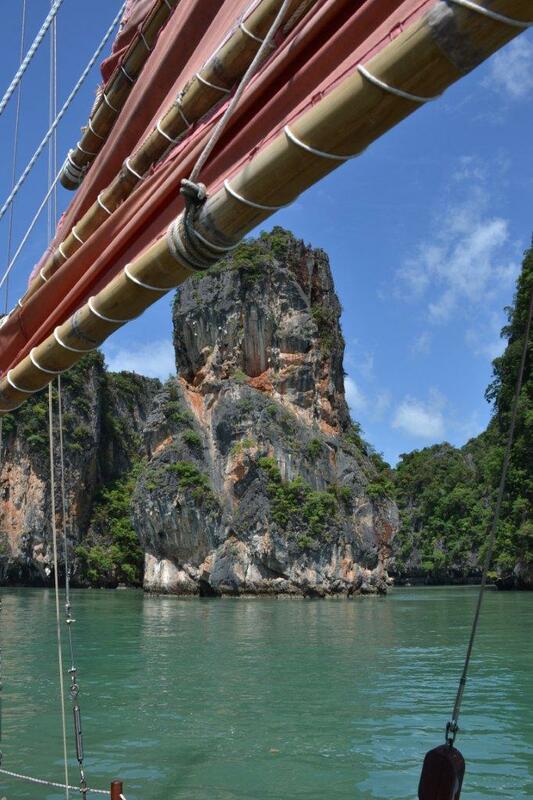 There were 2 boats tethered to poles and they were selling cool drinks or drinking coconuts. You can see the cans lined up on the top of the orange ice chest, under the umbrella. 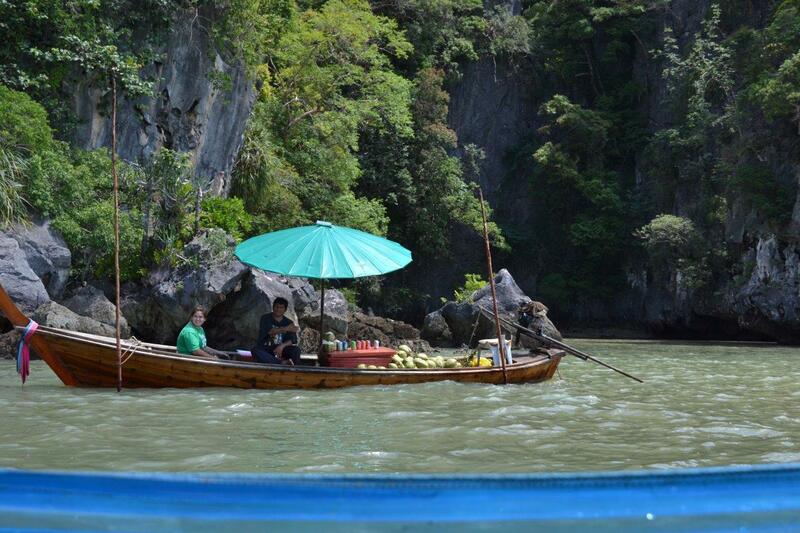 Our boat stopped at one of them and a few people bought a drinking coconut. I would probably have done so too but it had caught me unawares and by the time I’d thought it through we were on our way once more, this time through a mangrove swamp and then out into relatively open sea again. 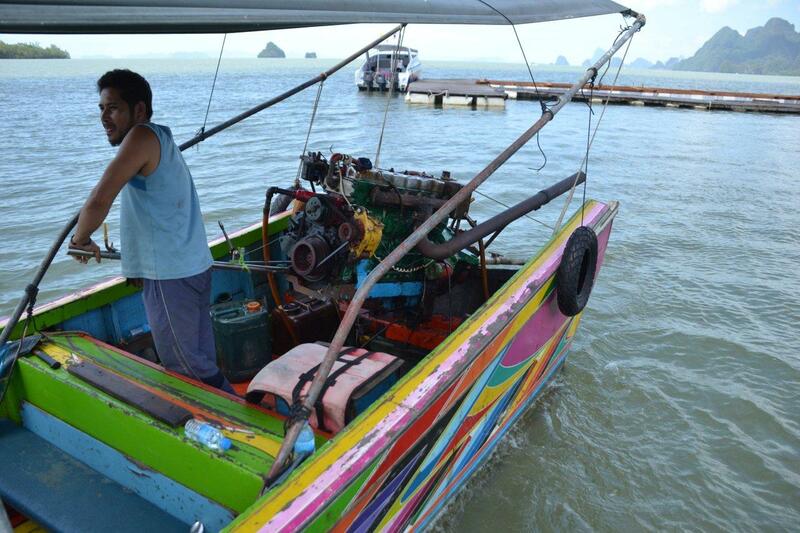 Here’s the motor and more parts of the colourful boat for anyone that wishes to see. This is an entire village made on poles on the shallow-water shelf next to one of the islands. 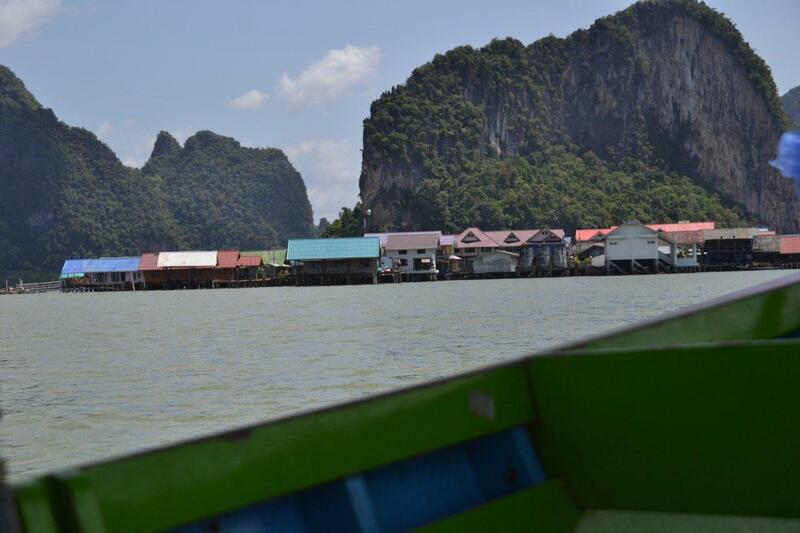 The inhabitants were originally sea gypsies and not allowed, by Thai law, to purchase land so they did the next best thing and just literally set up camp next to some land. Laws have changed and this village is now building a mosque on the only flat and available piece of solid ground. Thailand is a Buddhist country but this is a Muslim village. 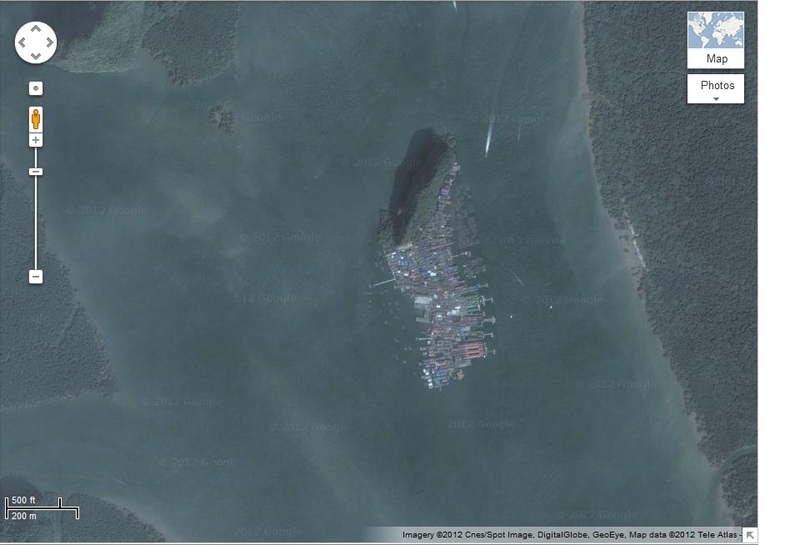 Here’s the Google Map aerial view of the village and you can see how part of it clings to the island but 98% of it is on the sea itself. The map is a link to Google Maps itself so that you can zoom in or out and see exactly where it is. There are apparently 1600 people living in this village. There is a school with a playground, a soccer field, shops, restaurants and many cats with nothing better to do that lounge around sleeping. In all honesty, we were amazed by all of the dogs we saw anywhere in Phuket in that they were just idly walking along the side of quite busy roads or more often sleeping. There was one dog we saw twice at the beach, laying in the exact same spot both days, in full sun! Anyway, back at Koh Panyee, the gypsy village, there were also many small black, crested birds with red cheeks in bamboo cages. Tom told us that there were bird singing contests each week and that these were taken *very* seriously. There were many, many stalls for tourists and for once we stopped and bought some bracelets for our daughter-in-law and 2 grand-daughters and also a postcard aerial view of the village. I have no doubt this is copyright – though it doesn’t say so – so I’d better not scan it to share. 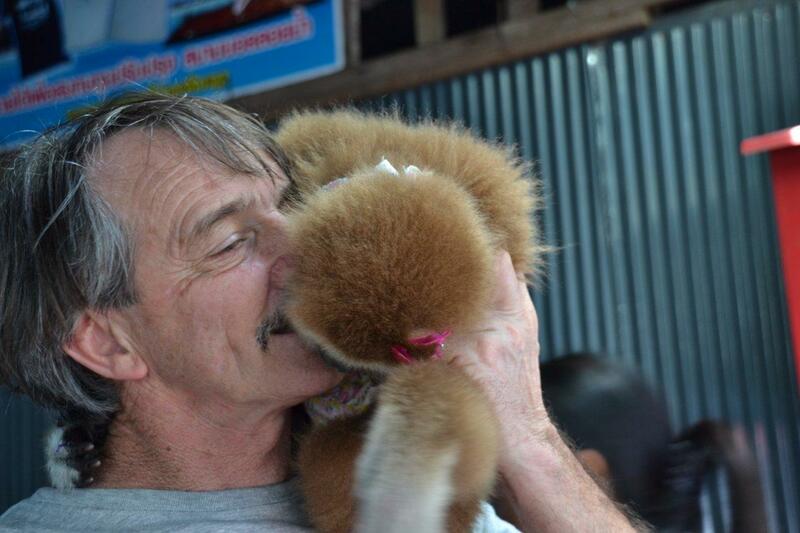 The next thing I knew was that I rounded a corner and there was David embracing the sweetest little monkey (yes, literally) that you ever did see. She was wearing a pretty white and pink dress and had pink bows decorating it and her hair. Tom advised us ‘you pay’ and I nodded that we knew, it was OK.
David offered me a hold of her but I didn’t want to pay 2 lots of money so said no. What I didn’t realise was that he’d already paid double the asking price so I probably would have been able to hold her. Damn it!!! Anyway, he was in love and may perhaps have got a longer turn because I didn’t take her from him. She was even wearing a little disposable nappy! 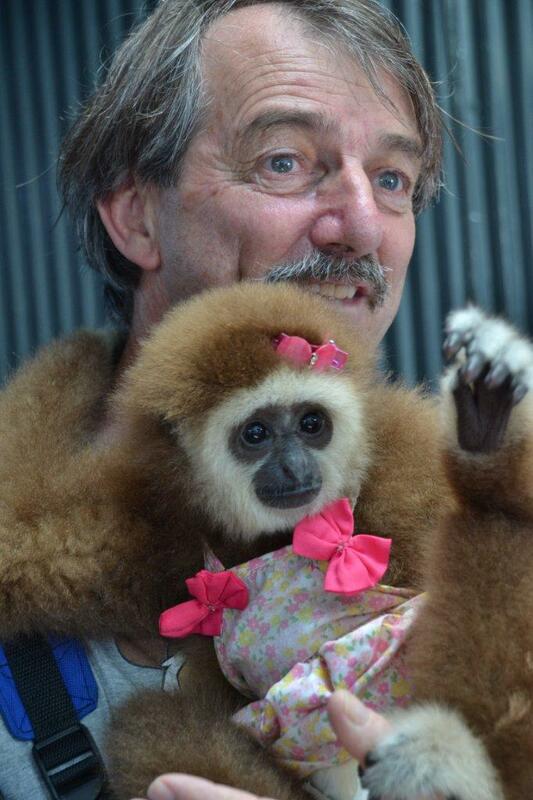 We’d been told that ‘photography animals’ were badly treated and we shouldn’t indulge in such things but David said she was soft and clean – she certainly didn’t smell, so we like to think she was well cared for. Her handler offered her a tiny bottle of milk and she happily took that but was far more interested in climbing all over David and staring into his mouth. The village was a fascinating mix of concrete flooring or fairly rotten wood. We were very careful where we put our feet! 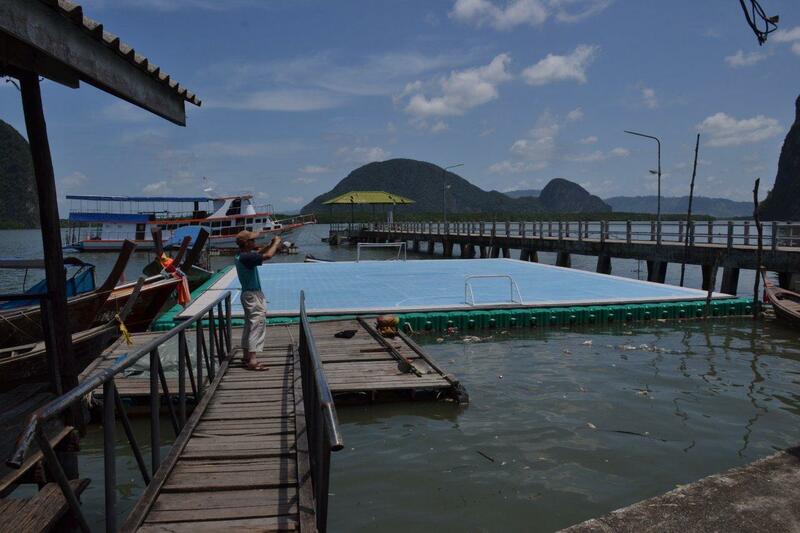 And one surprise was a few bicycles around the place – I could imagine the terrors of teaching a child to ride a bike when there were plenty of places between the wooden huts for them to fall into the sea. The huts themselves all looked as if they’d seen better days and the ‘windows’ were just openings in the walls. I tried not to look in as we passed but did see one man lying on what looked to be a wooden pallet. David, the more observant (does that mean nosey?) of us, said that he saw flat screen TVs in some of the homes so it was a strange mix of old/traditional and new. 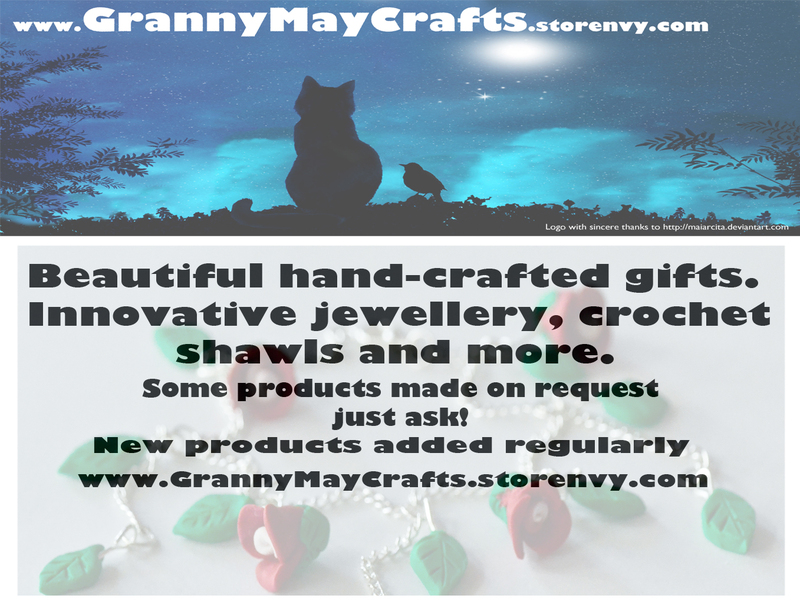 I could have bought some more things from the shop stalls – there were some beautiful mobiles with small glass butterflies and birds but I could imagine how long such a thing would take to wrap and I was very worried about losing Tom and not finding my way back to the boat. I suppose in hindsight they would have had some all ready to go. Never mind. Tom had told us about the ‘football stadium’ in the village and we all had our doubts but, sure enough, there was certainly a football field. The ‘field’ was exactly the correct size so any ball going out of bounds went straight into the sea and presumably someone had to go swimming to fetch it! 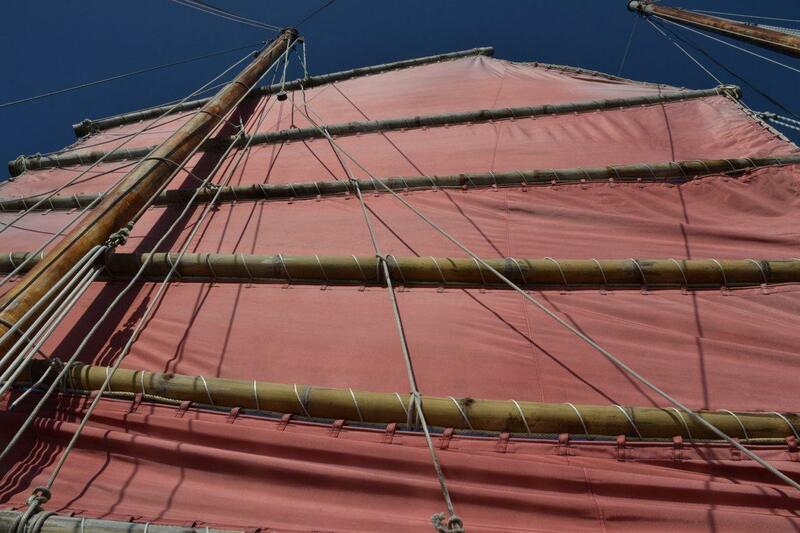 Our journey back to the small boat and then onto the junk was uneventful (aren’t you lucky? lol) and we got back to find a really beautiful buffet lunch ready for us, laid out along the cabin roof for us to help ourselves. What a life!!! 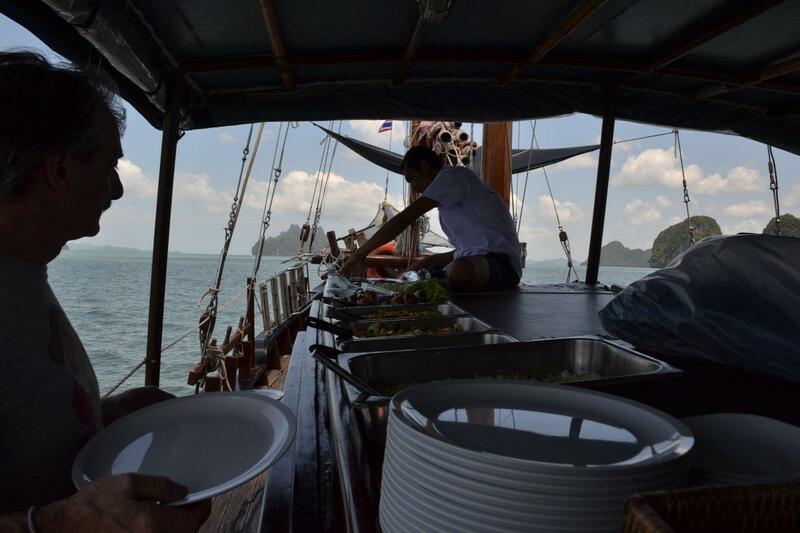 Not bad for a meal prepared for 18 people in the tiny galley below! I suspect the chicken was pre-cooked but I’d seen the fish and vegetables prepared as I looked through the galley door during the journey! And after this we had more delicious fruit – this time bananas, watermelon and again the incredibly sweet and juicy pineapple. They served wine or cold water with the meal. Immediately after this the junk stopped and put out a ladder for anyone who wished to go for a swim – right there in the middle of the sea! The sweet Chinese man got straight in and was the only one! 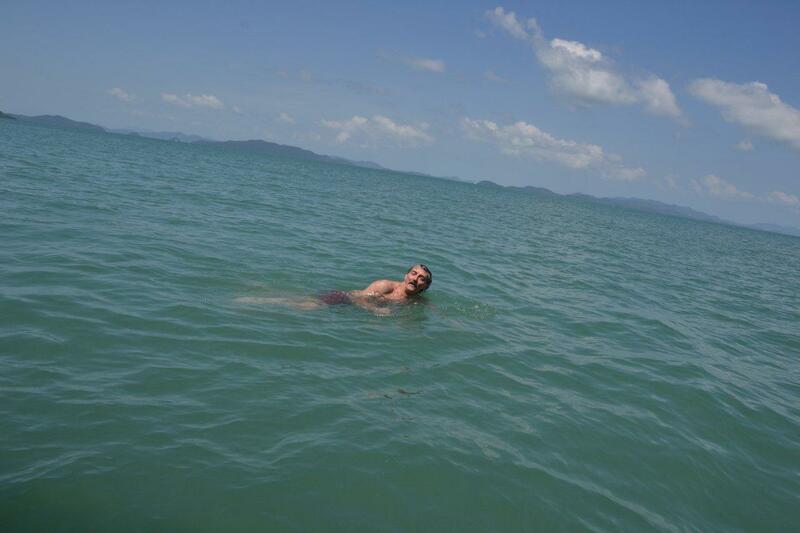 I was just finishing a mouthful and had every intention of joining him, while David was saying “No way!” As I got into the water I said “Nee how!” to the Chinese man and his already large grin of delight at having me join him grew even bigger and he got his wife to take photos of us both doing a thumbs up. He was even more thrilled when I said “Shien shien” afterwards. David took some photos of me in there and then he wasn’t going to be outdone so he got into the water as well. I exchanged a few words with him and then glanced up to see the boat ladder about 20 metres in the distance. I was absolutely stunned because I hadn’t felt as if I was drifting, and truth to tell it could well have been the junk rather than me. David wasn’t far away and I’m sure they would not take off without us but I did put some strength into my swimming to get back to the ladder!!! David has a loud voice and they’d cut the motors, but had they started them again I don’t know if his voice would be up to that challenge. If you know David though I expect you’ll be joining me in saying ‘most probably’ hee hee! Only the 3 of us swam so what had apparently been an hour put aside for this activity was over and done in about 10 minutes and Tom checked that everyone was happy to return to the harbour early. All nodded and he then lost himself in his mobile phone. I actually thought that a little rude – where he’d been attentive and wonderful all day – but I was wrong. He was letting our buses know to collect us early. Sorry Tom!!! Soon after leaving the swimming spot one of the lady passengers went over to the captain and pretty much shoved him bodily off his stool and took over steering. 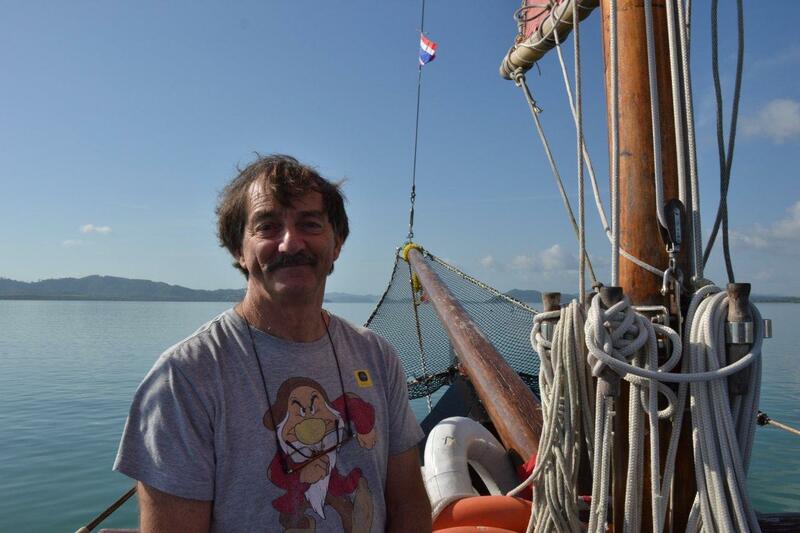 She checked with Tom what was Port and Starboard in Thai and said something briefly through Tom’s translation to the captain and then she had control. The captain kept quite a tight eye on her for a while and then started to wander off a little – and then a lot. It was obvious to all that the lady (another Perth girl) knew exactly what she was doing, though she did say to us that it was very hard to see over the front of the junk to see if there were any obstacles. She did a fabulous job though and was probably at the helm for about half an hour – perhaps more – until we were nearing the harbour and she bowed to local knowledge and let the captain back to his lofty stool. The journey back to Club Med has nothing to report so I will wind up the story for this page and see you again on page 4. Thank you Peter, I took all of the photos myself (except for the couple with us in them). I have some of these photos, plus many different ones, in better quality at http://www.mayebony.deviantart.com if you wish to look there as well. Thanks again. It was definitely a beautiful day, yes. 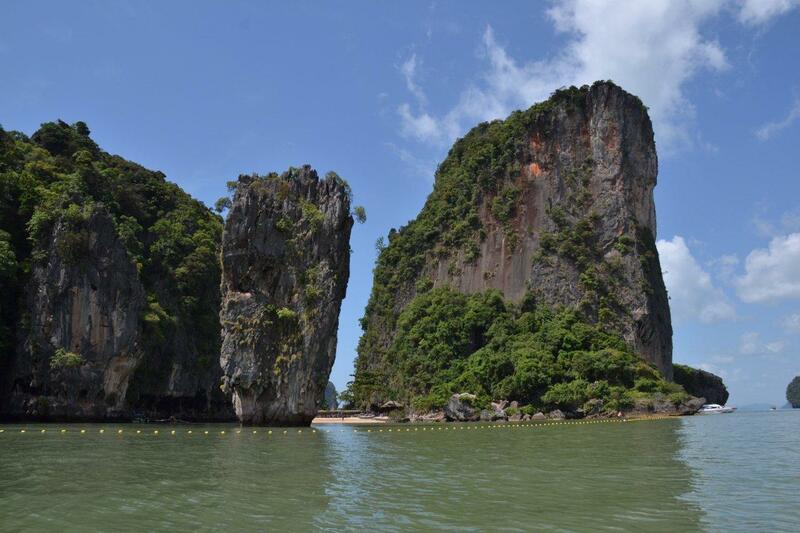 The islands were incredible – particularly that really tall one. If there weren’t so many photos in there already I’d blow up the little boat so you can see it clearly. I may end up doing that anyway LOL I have added a Google Map aerial view of the gypsy village and made it a link so that you can go to Google and zoom out to see where it actually is. Yeah, we think that was a car motor – or intended to be. It certainly looks like it huh?